Coleman's time with the Patriots is over after less than one week, as New England now needs his roster spot in order to bring in Josh Gordon, who the team acquired in a trade with the Browns on Monday. There are plenty of organizations around the league that could still use Coleman's help at receiver, though, so the 2016 first-rounder may not be out of work for long. Prior to signing with the Patriots, Coleman reportedly worked out for a number of teams, including the Cardinals and Eagles. The move was only made to clear a spot for Gordon. Looks like Coleman is the only guy out there Washington kicking tires on Perriman and Michael Floyd. I'd rather have Coleman of those 3. 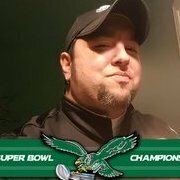 Hope Howie gets something done. I think it's pretty much imperative now that we get something done. Wallace and Hollins out for a good amount of period forces us. That's our #3 and #4 WR which includes our #1 deep threat. Jordan Matthews at the facility. Guess we won't get anyone that actually moves the bar until teams are out of it. Hopefully we can get through to trade deadline and grab someone once teams are out of it... hopefully we're not one of those teams. I don't know, I was always a JMatt fan. Yes he dropped passes but also caught a lot and had great chemistry with Wentz. So? He's a slot receiver when we have Ag. Why go back to someone who limits the offense like he did? He has suspect hands, can't get separation and doesn't stretch the field. So what really does he bring to his team that we don't have? He was marginal when he was here before... after injury I suspect he'll be a shell of even that. I'm guessing experience in the system. That's the only thing I can think of. Wouldn't take him long to get up to speed. He did have an 85 catch 997 yard season with 8 TDs. I feel like people aren't giving him enough credit. He wasn't a great receiver here, but he was solid and Wentz trusted him. He's years removed from that though with major injury issues. There's a reason he doesn't have a job right now. I'm not disputing that. That's why I said if he's healthy, he'll help. But if we're using that logic, then unless there is some receiver out there available for trade that we are unaware of, the same could be said about ANY receiver they sign right now. All these free agents, Coleman included, are free agents for a reason. A warm body that just goes to the right place on every play helps at this point lol. Moving the bar enough to solve our WR needs and lack of play making not so much. Hopefully they turn to the TEs and RBs to help with this until some real options open up near trade deadline time and Alshon returns.